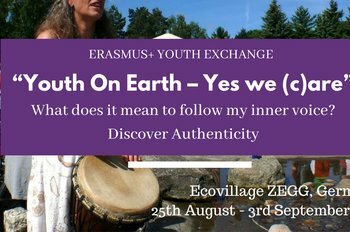 ecobasa is a directory of sustainable communities, eco-villages and individuals looking for alternative ways of living. In this network you can communicate with existing communities or find the right people and resources to form a new communitiy. You can organize a stay in a community - for your help you get food, accommodation and amazing learning opportunities. All members offer their gifts without expectation of a direct return. Their wishes may be fulfilled by another member. Positive references build trust between the users of the network. Responsible relationships emerge where people begin to understand each others needs and qualities. Join us and co-create a culture of trust and mutual support! Your gifts keep us giving! We are a dedicated team working for the vision of a gift economy network that connects people and sustainable communities - A network that connects needs with available gifts, facilitating the exchange of knowledge, services and resources. ecobasa started in 2011. 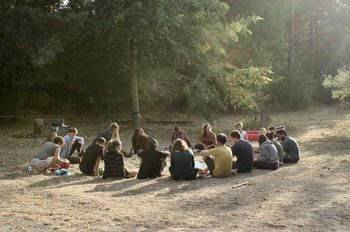 In 2014 we relaunched the platform and co-organized many Community-Tours and Communities-Convergences since then, all based on gift-economy. Our goal for the next year is to become self-sustainable and for this step we need your support! trained Gift-Ambassadors to bring gift-economy into communities. Their role is to update the community profiles, hosting gift-circles in the community, to connect to each other and to coordinate gifts from other communities in this network. grew the network by helping the organization of community-tours in south-america and communities convergences. shared the gift of giving in different events and workshops. Book us now! On Heroes & Friends you can see how to support us with your time and ressources and there you can support us by sharing posts on facebook! The community-tours empower an alternative economy based on trust and sharing. 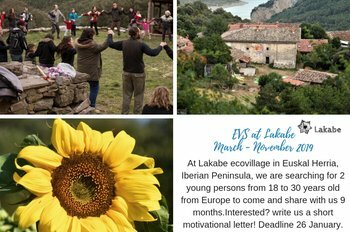 Start travelling between ecovillages and other sustainable communities across the planet and experience sustainable ways of living through volunteering. By bringing spare resources and experts from one community to the next place where they are needed, we grow the gift-economy network together! Most of us are volunteering, this is our gift to the network. Unfortunately we still have some bills to pay. This networks existence depends on contributions and small monetary gifts from you!